Are you pregnant and dreading the appearance of those infamous stretch marks? Using Bio Oil for stretch marks is one of the most effective ways to reduce their appearance. This article will explain why and how to use Bio Oil to get the best results! The minute you find out that you’re expecting, you’re making plans to ensure you have an ideal healthy pregnancy. You’re probably thinking of all the veggies you’re going to eat, how much you’re going to exercise, and your birth plan. All down to the last detail, right? Well, you may have overlooked one major component of your pregnancy during your planning: your skin and stretch marks. So what can you do? Does bio oil work on stretch marks? The short answer is YES! Pregnancy brings on all kinds of changes. For once, you’ll get that glow that everyone always talks about. But your hormones will also be all over the place, and you may be vomiting at the mere sight of a quesadilla. However, the one thing that none of us look forward to is getting stretch marks (click here to check out our in-depth guide). Ladies, have no shame if you’re reading this and you’re not even expecting a little bundle of joy. It can happen to any of us; stretch marks don’t discriminate. Thankfully, there is an answer for us lucky women who share the blessing of stretch marks: bio oil. Why is Bio Oil so Popular? 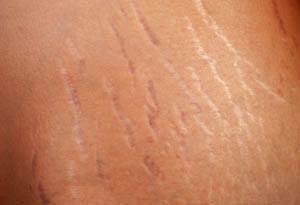 There are several products aimed at diminishing the appearance of stretch marks. One of the most popular is cocoa butter (see our guide on whether cocoa butter is better than shea butter for stretch marks). However, for those of us who don’t care to smell like chocolate, bio oil is an excellent alternative. You are probably familiar with bio oil or have at least heard of it. After all, bio oil is the #1 selling skin product around the world. With the fact that 75-90% of women are susceptible to stretch marks, it’s no wonder that we are all looking for a miracle product to keep our skin free of them. You’ve probably seen the little white box of bio oil in the skincare aisle and hesitated because you weren’t sure if it actually works. A bottle seems expensive, so clearly you want to know if it works before you fork over your hard earned money. There are so many reviews online for bio oil and its effectiveness. Don't forget to check out YouTube to see videos about bio oil before and after stretch marks. Does Bio Oil Really Work on Stretch Marks? Bio oil claims to hydrate the skin, help maintain elasticity, and improve skin quality. These are all wonderful claims, and there are studies showing that they’re actually true! The first trial conducted to observe the effectiveness of bio oil was in 2005. It included twenty women with various cosmetic skin issues; however, we want to focus on stretch marks first. The women had similar abdominal stretch marks and used the oil as directed for up to 12 weeks. After just four weeks of using the product, 50% showed improvement. More specifically, the redness and tone of their stretch marks had decreased dramatically. Furthermore, in regards to skin issues on the face, there was also good news. Hormones can cause dark splotches to appear on the face - and as we know, hormones don’t exactly behave during pregnancy. Around 93% of the monitored women showed facial skin improvement! There have been arguments that this clinical study isn’t reliable because the women with stretch marks were all Caucasian. 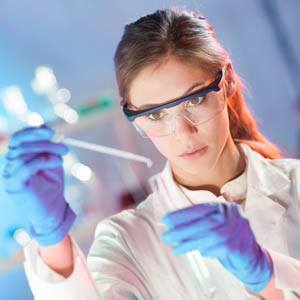 Thankfully, another group conducted a study on bio oil in 2010, combining women from various ethnicities. This study focused on stretch marks located on the abdomen, hips, and thighs. We all know stretch marks aren’t kind enough to stay in one place. After two weeks of using bio oil, there were some improvements. However, after eight weeks, nearly 100% of the participants showed improvements to their skin! I don’t know about you, but those are some promising numbers in my book! It’s great that bio oil showed such encouraging results. However, you probably want to know more about the oil itself. What is it exactly? It only takes a quick glance at the box to know that you’re not using a natural product, unfortunately. Bio oil has over thirty ingredients, most of which I can’t even begin to pronounce. It may be manufactured oil, but it does have some great components. What's Actually in Bio Oil? Rosemary oil - Has antimicrobial properties and can help heal scars and wounds. Chamomile oil - Known to help even out skin. Vitamin E - Has antioxidant properties. Vitamin A - Also known as Retinol, but much less intense. Lavender- Has anti-fungal and antibacterial properties. Plus, it smells pleasant and helps instill calm. Calendula- Used to moisturize skin. One of the components that make the oil so effective at hydrating dry skin. The above ingredients are all beneficial for stretch marks, and it’s a pleasant surprise to read that bio oil contains them. 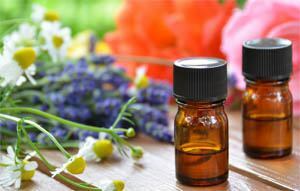 Essential oils (click to see how to use essential oils to prevent stretch marks) are known to have similar nutrients and make an excellent alternative, especially when used with coconut oil (see our guide on how to prevent stretch marks with coconut oil) as a carrier oil. However, they say that the one oil that really contributes to the miracle powers of bio oil is Purcellin oil. This is synthetic, and can’t be categorized in with the natural oils. Purcellin oil is actually a manufactured oil that mimics the preen oil found within ducks. It is what causes them to stay afloat, and keeps their feathers from getting wet. I know, it probably seems a bit disturbing that you are rubbing this type of oil all over your body, but it is what helps bio oil have such an amazing consistency. Also, the company claims that this oil is the true power behind any improvements that you see from using the product. Another positive about bio oil is that it is hypoallergenic. That means this stuff is extremely unlikely to irritate even the most sensitive of skin. Most of you searching for more information on bio oil are most likely pregnant, and you’re probably wondering if it is safe to use while your little one prepares for arrival. Ladies, here’s some good news! Bio oil has very few side effects. Bio oil is so hydrating that you actually enjoy putting it on, rather than feeling annoyed with yet another daily beauty routine. Not to mention, it gives your skin a radiant glow. Massage twice a day into skin, focusing on problem areas. However, you can use it all over as a moisturizer. Make sure to rub in circular motions. For best results, use immediately after showering. This will help lock in the moisture. Also, as mentioned on the box, avoid using the oil on any broken skin. How Long Should I Use Bio Oil? You should use the oil correctly for at least three months to show promising results. Does Bio Oil Work on Old Stretch Marks? Keep in mind, bio oil cannot erase the appearance of old stretch marks, but it will definitely tone them down. It works best to prevent and treat new ones. Does Bio Oil Help With Other Skin Problems, Too? We know that it does, in fact, greatly improve uneven skin tone due to the study from 2010. Why not use it for its other intended purposes to achieve radiant skin? How Else Can I Use Bio Oil? As women, we love a multi-purpose product. Not only can you use bio oil to help heal stretch marks and improve skin appearance, but you can also use it for other beauty regimens. 1. Place a drop or two in your foundation. It will help smooth out your foundation while providing a nice glow. Dewy, glowing skin? Yes, please! 2. Use it as a bath oil to help hydrate tired skin. 3. Did you get a little more sun than you wanted? Rub a little bio oil on sunburns to help alleviate soreness and encourage faster healing. 4. You can use it on your hair to help smooth any dryness or fly-aways. 5. Apply a small amount over eyebrows after tweezing or shaping them; it can help minimize redness while calming irritated skin. Even if you’ve been a little hesitant on trying out bio oil, you may want to give it a shot. 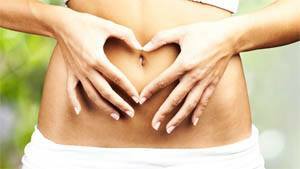 Whether you want to prevent or heal stretch marks due to pregnancy or a few uninvited pounds, it’s worth it. Although it’s a bit pricier than we would like, it really works. It’s proven to work with stretch marks, and it’s a wonderful versatile beauty product. Don’t be surprised if you start to feel a newfound confidence. Having radiant skin that smells like roses can have that effect.